On a Sunday in July, the congregation at St. Andrew’s blessed their travels, their participation and their competition. Yes, we are honored to know these two young women with powerful shoulders and muscular arms who display amazing physical strength and endurance. Yet, we at St. Andrew’s also celebrate their hearts. These two women carry a gentle kindness, a faithful witness and generous spirits revealing God’s steadfast love. They know the courage needed to endure incredible hardships and find strength beyond perceivable limits. Out of this, they encourage and engage others to dream big and live fully. These women model ways of going and seeing and living compassion for the sake of others. I am grateful to Susannah and Tatyanna for they have reminded our congregation that the Olympics are not only about the strongest or the fastest and the most powerful. These games are also about people from around the world gathering together to share in the joy of peaceful competition and the awareness of unity even in difference – difference of culture, color, and capability. These games of competition can also model compassion. We ask you to bless Susannah and Tatyanna. Instill in them respect for the field of competitors. May they find endurance to compete well. Reward them with perseverance and discipline. Grant them the will to go, eyes to see others, and hearts of God’s compassion. May they be a blessing to others as they travel and compete. Guide them each day and give them what is needed. As they cheer others in peaceful competition. May your Holy Spirit be present in their journey and race. Almighty God bless them, direct their days and their deeds in peace. Amen. 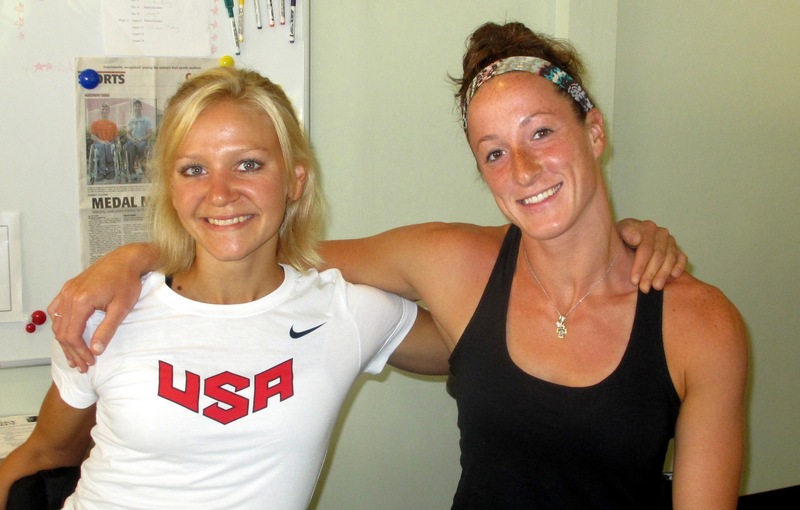 Susannah Scaroni and Tatyanna McFadden will compete in the Wheelchair Track and Field 2012 Paralympics Games Aug. 29 – Sept 9 in London. This entry was posted in Main Menu, Musings, News on July 31, 2012 by lutherancampuscenter.